This post brought to you by McCormick. As always, all opinions are my own! When the folks at McCormick asked if I’d make a dessert using their fabulous products, you better believe I jumped at the chance. This just gives me yet another reason to be cooking in the kitchen! 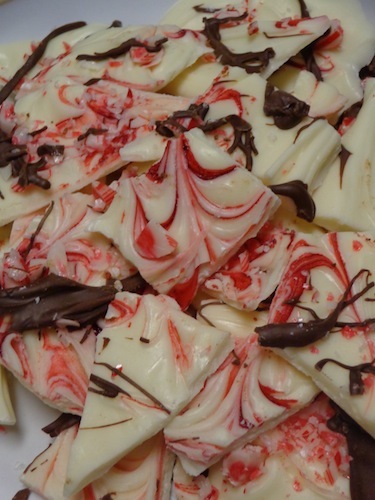 I’m a huge fan of peppermint anything, so it was a no-brainer to make their Peppermint Bark. 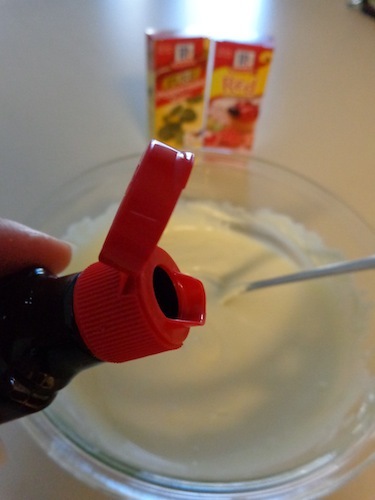 And, let me tell you, this recipe is super simple to make! 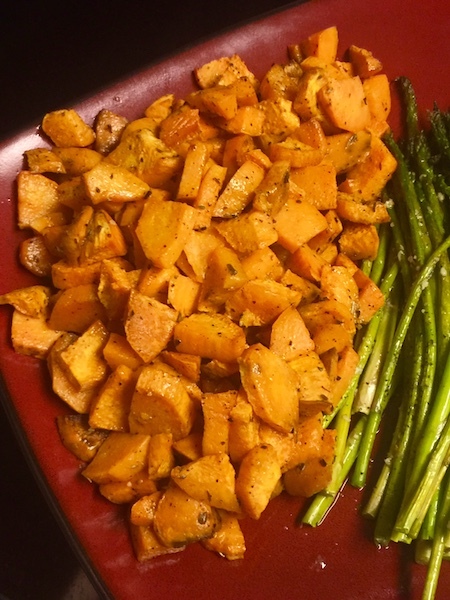 You’ll have this whipped up and in your tummy in no time at all! Before I share the recipe, I have to brag on McCormick’s lid design. (And, no, they didn’t ask me to mention this.) Their lids have a spout that not only make the contents easy to pour, but also cuts down on waste! (Gone are the days of pouring it out of the bottle and the contents dripping down the side and making a mess in your hand!) I’m not sure how long you’ve they’ve had this updated lid, but I’m impressed! Microwave the white chocolate chips for 60 seconds; stir. Microwave for an additional 30 seconds. Continue microwaving and stirring until chocolate is completely melted and smooth! Stir in peppermint extract. Spread onto a foil-lined baking sheet to 1/4-inch thickness. 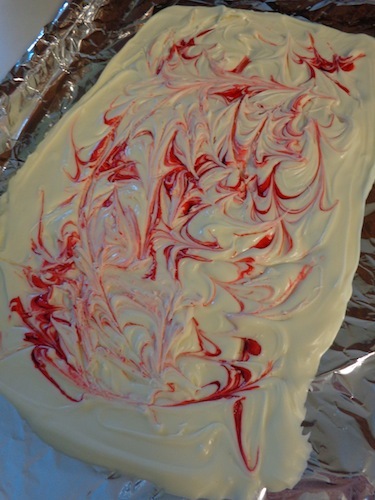 Randomly drop food coloring onto chocolate. Using a toothpick (or wooden skewer) swirl the color through chocolate. 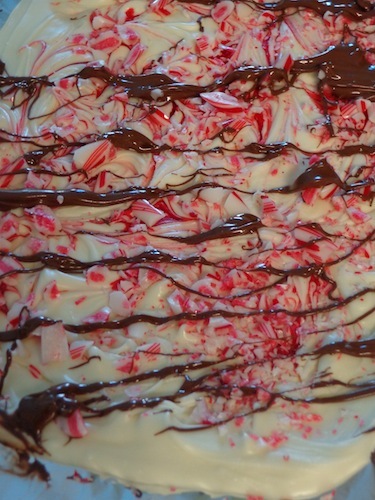 Sprinkle the crushed candy canes on top, pressing lightly with spatula. 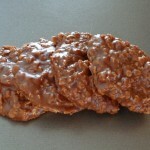 Using the above process, melt the milk chocolate chips and lightly drizzle over bark! Refrigerate 10-20 minutes, or until firm. Remove from foil and break into irregular pieces. Store in a covered container at a cool room temperature or in refrigerator up to 5 days. Instead of using the red food coloring, you could definitely use green. Or, it might even be fun to mix both. You could also substitute peppermints for the candy canes. 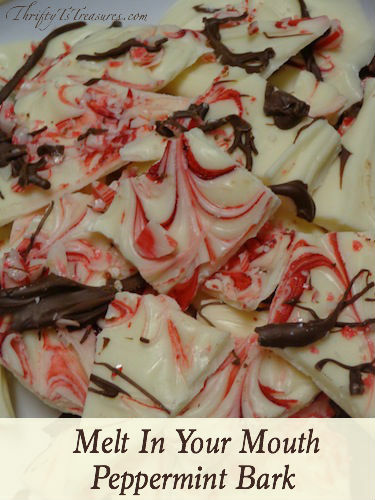 The peppermint flavoring mixed with the creaminess of the white chocolate will definitely make this Peppermint Bark melt in your mouth. This makes an excellent gift. 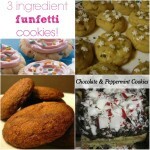 But, be warned, if you plan on gifting this yummy goodness, you’ll want to make a double batch! One to give away and one to keep! 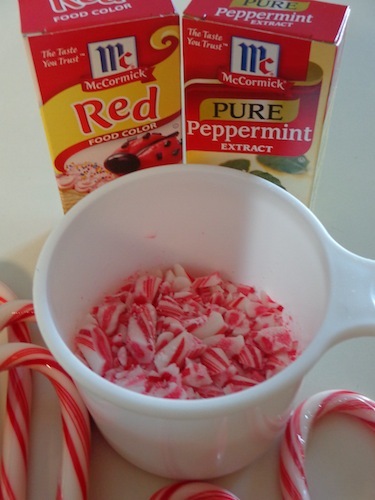 Mmm, I love peppermint anything especially around the holiday! I can’t wait to give this recipe a try. 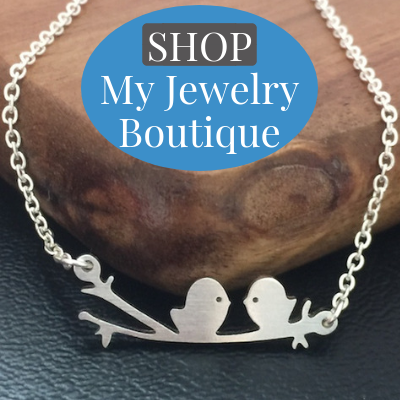 Thanks for sharing with us at the Merry Monday Link Party! Hope to see you again on Sunday! Peppermint is definitely my favorite Christmas flavor too, Tiffany! 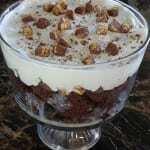 I enjoyed looking at your recipes they so good. I can not wait to start making them.